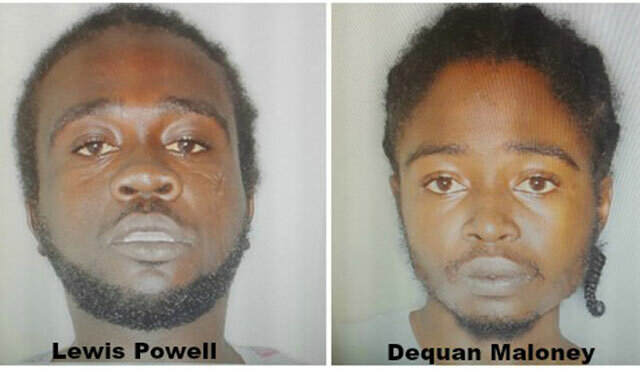 Basseterre, St. Kitts – The security cameras at Warner Park have been key to police apprehending two individuals for questioning following the shooting incident at Warner Park on Saturday evening. The football world in St. Kitts was sent into shock when a gunman found his way into Warner Park Football Stadium during a SKNFA Final Four encounter between the Flow 4G Cayon Rockets and Rams Village. Early in the second half of that game, fans scurried for safety after a gunman opened fire on the eastern section of the facility before leaving the scene via the cricket field. Amal White suffered non life-threatening wounds to his body as well as other injuries while trying to run from the shooter. The game was subsequently suspended and continued the following evening, with the Cayon team coming out victors 4-0. Police officials indicated that an air pistol or pellet gun was used to carry out the act. They also disclosed that two are in custody in relation to the matter. Deputy Prime Minister and Minister of Sports Shawn Richards said his department, and by extension, the government itself, condemns the incident. “[People] were here to witness a football game and to enjoy themselves and it is a pity that criminal elements within the Federation of St. Kitts and Nevis would have taken the opportunity to enter the park and try and shoot someone,” he said. Richards also commended the police officers for their quick response in handling the matter. “As I got here last night, I saw the commissioner of police right on the outside making calls, ensuring that the security personnel answered promptly to the incident here in the park,” Richards said. Richards revealed a discussion with the individual who monitors the security cameras mounted in the park assisted police with the apprehension of two individuals. “He told me that the cameras were able to pick up two individuals and as a result of that, I think the police were able to take those people in for questioning,” he said. Since then two men from the McKnight area – Lewis Powell and Dequan Maloney of Upper Shaw’s Avenue – have been charged with causing grievous bodily harm and making use of a firearm to commit a felony. With international cricket between Afghanistan and the West Indies set to bowl off later this week, Richards also addressed the security measures that are being considered for that match up. He also gave assurances to law-abiding citizens. “The government will continue to do its best to ensure that people are able to come out to any activity and be able to enjoy themselves,” he said. The president of the SKNFA, Anthony Johnson, told media representatives Sunday evening that he issued an apology to the football fans and hailed them for their support. Johnson then spoke of the importance of security to the SKNFA and stated that they will be making additional measures to be implemented at future SKNFA events. “We at the SKNFA have invested quite a lot in security,” he said. “We take the security of our patrons, our players, our officials, as our number one priority. Notwithstanding that, it was very unfortunate that there was a breach of the security protocol last evening. Johnson reminded fans of the positive impact football has on society, especially among the youth. Johnson further hailed the fans who returned in the thousands despite the criminal incident.